Clear new font has started launching on the BBC Sport website. Earlier this week the BBC introduced a new digital-friendly font on its sports website. The font was launched to coincide with the start of the new football season and is eventually expected to be used right across the BBC. This update is the first time the BBC Sport brand guidelines have been given a polish in seven years. In that time the way that its audiences have consumed content has changed, so this new font is a timely overhaul that should help the BBC engage with online readers. In a nice little nod to the past, the new font, called BBC Reith, takes its name from the BBC's founder Lord Reith. And with licence fee payers constantly aware of how their money is being spent, it's a relief to hear that the new font should save the BBC money in the long run as they won't have to pay for other fonts. "The existing fonts that the BBC uses were developed last century and work well in print – but they’re not always clear enough when they appear in small, digital, spaces, and we’re all reading and watching far more on screens and mobiles these days," says Colin Burns, chief design officer at the BBC. "So the new font – which we’ll gradually roll out, starting with sport today – will be easier to read and clearer, especially on small devices," he adds. 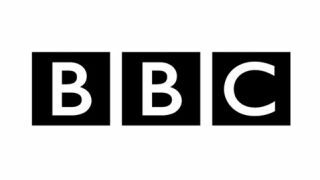 It is expected that the font will one day be used right across the BBC, but thankfully the broadcaster's distinctive block logo won't be changing.